Writers need feedback of many kinds. Professional editors, of course, are essential. But another very important kind of feedback comes from “beta readers.” A beta reader is a person who’s willing to read a manuscript and offer suggestions and feedback from the perspective of an average or non-professional reader. 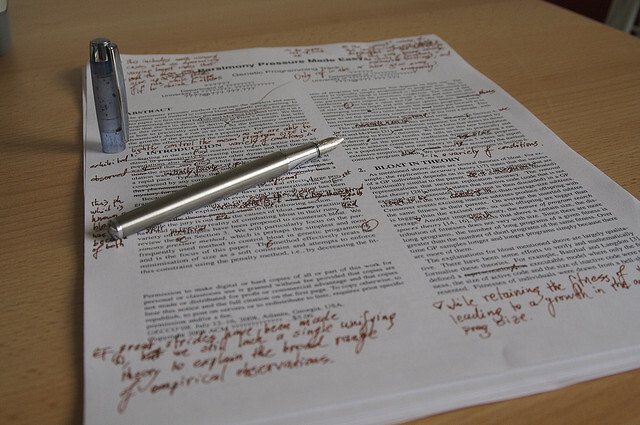 Usually, the manuscript will have had a developmental critique by a professional editor, and will have been revised based on that critique before the beta reader receives it. Like beta testers in software development, the beta reader looks for issues in the manuscript that distract or detract from the pleasure of the read. Glitches in the plot, inconsistencies in the narrative, confusing passages, breaks in the smooth emotional arc of the characters’ development: These are the issues the beta reader will comment on. Beta readers generally volunteer and aren’t paid, as professional editors are, but they offer a enormously valuable service to the writer: providing the perspective of the reader, who after all is the key arbiter of any book’s success. What do beta readers look for? Could you relate to the main character? Did you feel his/her pain or excitement? Did the setting interest you, and did the descriptions seem vivid and real to you? Was there a point at which you felt the story started to lag or that you became less than excited finding out what was going to happen next? Where, exactly? Were there any parts that confused you? Or even frustrated or annoyed you? Which parts, and why? Were the characters believable? Are there any characters you think could be made more interesting or more likable? Did you get confused about who was who among the characters? Were there too many characters to keep track of? Too few? Were any of the names of characters too similar? Did the dialogue keep your interest and sound natural to you? If not, whose dialogue did you think sounded artificial or not like that person would speak? I am currently revising my fourth novel, titled A Patriot’s Campaign, following the critique by my developmental editor, Lorna Lynch. Patriot is the fourth book in the Monastery Valley series. In the coming fall, I’ll be asking folks to volunteer to be my beta readers. 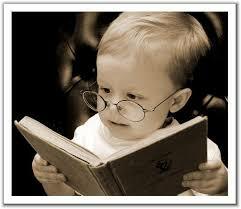 Usually, I look for five experienced readers, and this book will get the same treatment. The manuscript, when it’s ready, goes to the beta readers electronically, as a PDF document. There is no hard and fast deadline for the feedback to come back–beta readers are generous volunteers, after all!–but the normal turnaround time is a couple of months. When the book–incorporating the beta readers’ suggestions–is finally published, each beta reader will receive a complementary copy. I worried about that word, complementary–should it be complimentary? So I looked it up, and am no surer now than before! (This could start a heated discussion in a pub.) The book-gift could be complEmentary, as in “completing” the beta reading transaction; or it could be complImentary, as in praising the reader for a job well done. If you’d be interested in being a beta reader for Patriot, please feel welcome to comment on this post and let me know, and I will get back to you. and how well the story accomplishes its goals. She always sends back the manuscript full of notes and comments, along with a lengthy document providing a separate critique of the story, characters, plot, and overall structure. As you can imagine, this leads me to yet another revision, sometimes two. 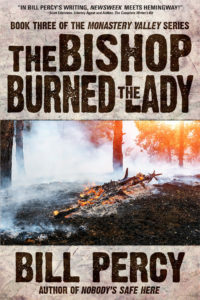 For instance, for my latest novel, The Bishop Burned the Lady, (you can preorder it now at a 10% discount from the publisher–click on the title and enter promo code PREORDER2018.) , I worked through the manuscript with Lorna’s separate critique first, because it tends to be more “global,” dealing with the overall structure and arc of the story. Then I went through the marked-up manuscript and dealt with each individual change she recommended. No one expects an author to accept every one of her editor’s suggestions, but Lorna’s have always been reasonable and clearly aimed at strengthening the story and the writing. I seldom, heck, almost never, decide to ignore her recommendations. The second round of editing also has various names: “Copy edit” or “line edit” are most common. This is the classic edit wherein your pages come back all marked with red ink. Lorna, as most editors do now, uses Microsoft Word’s “Track Changes” tool. 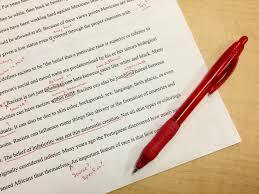 The copy editor, rather than the big-picture focus on the arc and structure of the story and the development of the characters, focuses on individual paragraphs, sentences, words, grammar, style, usage. Not to say she may not notice something bigger that either she missed in the developmental edit or that I inadvertently messed up in my revisions after it. She even does a bit of proofreading—a third level of editing that focuses on typos, misspellings, and such gremlins that happen no matter how often the manuscript is revised or how many people searched proofread it. I find that my revisions after the copy edit take quite a while. At this point, I’m not merely revising to address the copy edit, but I’m starting to polish the prose. That may be the wrong word choice—my prose is not meant to be “polished.” I aim for a style that is spare, consonant with life and society in a small mountain town. But while I’m working through the copy edit, I’m always on the lookout for a better verb, and more pungent image, a stronger noun. Proofreading is the final edit. It usually happens just before sending the manuscript to the publisher, and more formally after publisher converts the manuscript into an electronic “proof.” (In the old days of paper manuscripts, the proof was called a “galley.”) Now, they come as PDF files, and the task is to check every letter of every word for accuracy. Some proofreaders, to prevent themselves from reading the story and possibly missing errors, start with the last sentence and work backwards, sentence by sentence. I can’t do that. Instead, I hire a proofreader. I’ve worked with two proofreaders, each of them both marvelous and meticulous—Kim Cheeley and Lorna. I met Kim, in fact, after she borrowed a copy of Climbing the Coliseum from her local library—and promptly proofread it, marked up all its typos and misspellings (she found 51, this after I had proofed the galleys twice! ), and sent me the library’s copy. (She bought them another. )Since she found numerous typos, misspellings, and errors, I vowed always to have a proofreading done by a professional. When all is done, and the proof is approved, a release date is set by the publisher. My publisher, Black Rose Writing, set April 12 as the release date for The Bishop Burned the Lady. Watch this space or my Facebook page for news about activities around the release! You’ll be glad you did! 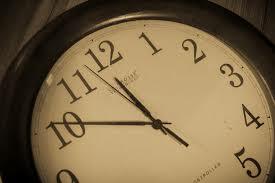 A writer I know, Dwayne P., has a deep desire to write fiction, but such a busy life that he has not found the time. Recently, he was telling our writers’ group about this and what he had realized: He could write for ten minutes each day. Simple. Clear. Doable. “I may not be able to write a novel or even a short story very quickly,” he mused. “But I can write for ten minutes each day, and soon enough, there’ll be a book.” He read three of his ten-minute fictions to us: Lovely, concise stories a few paragraphs long. Any one of the three could be expanded into a full piece of fiction. One of my many shortcomings as a writer is that I have started this blog and promised a new post every couple of weeks, but I haven’t kept that promise faithfully. For some periods, I post regularly. But then spaces of time pass when I don’t. Often, it’s because I’m absorbed in my current work-in-progress, and don’t make time for the blog. Other times, it’s that I feel at a loss for a meaningful subject to write about. This strikes me as odd—dozens of topics related to Psyche, Spirit, Story interest me. So why do I dry up when pondering a blog post? I suspect the answer is that it takes too long to do justice to those ideas—or so I thought, until Dwayne changed my mind with his simple idea: Write for ten minutes. 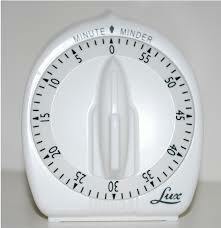 If I take ten minutes out of each writing day, I’d be able to create five or more blog posts each week. And writing for ten minutes is a cinch. Take this post: So far, I’ve been writing for nine minutes and seventeen seconds. So here’s my experiment: Like Dwayne, I am going to write for ten minutes each day on a topic related to this blog. I’ll post once a week. Next week, I’ll post about a problem I was having with a scene in my work-in-progress and how I solved it (I already wrote the post, in ten minutes and four seconds!). And I’d like to ask you, dear reader, to send me your comments about how this experiment works for you. Ten minutes. See you next week. Michele and I recently took a three-week trip, and during it, I realized some things about writing that I hadn’t really paid attention to before. They had to do with the nature of space and time, the importance of attention, and the ability of the brainmind to invest imagination with reality. Let me describe what I learned. I noticed that, without the routines of home, time in a strange place also seems distorted, and for a couple of days, I find it harder to gauge how long events, such as a meal with friends, last without the familiar time-cues I have at home. Where the sun “should be,” as a cue to what time it is, doesn’t work as well until I get my bearings in space. Space and time flow into and out of one another—which of course is the notion behind the word, spacetime. However, when I opened my laptop to work on my novel, Nobody’s Safe Here, I was immediately immersed in familiar spacetime. Nothing in that fictional world of Monastery Valley had changed, the landmarks are familiar, distances are known and stable, time is clear. What’s happening? The disorientation we feel in strange places highlights the importance of paying attention to space and time. 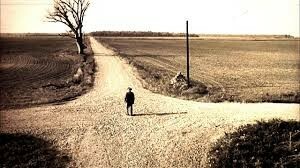 Not knowing where a destination is in relation to one’s current place forces one to attend to cues (maps, signs, etc.). Not knowing how long a trip will take forces one to pay closer attention to discovering both distances and traveling conditions. To ride ten miles in a car takes a different time than to ride the ten miles in a bus, or to walk them. When I was working on the novel, though, the fictional spacetime took on all the “reality” of the outer world of my journey. Why is this? Cognitive scientists have demonstrated that the brain treats imagined events the same as it treats “real” events. For example, on a hike, if I misperceive a large black dog to be a black bear, the brain signals a “fear” response that triggers all the same neurotransmitter and hormonal responses that would happen if it were actually a bear. Many religious traditions take good advantage of this fact. 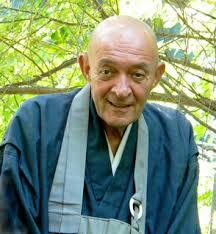 When a devout practitioner visualizes the deity or a venerable person (saints, bodhisattvas, arhats, etc. ), the more deeply he or she attends to the visualization (that is, to the imaginary presence), the more “real” the imagined beings become and the more potent the image becomes for altering consciousness and experience. John Gardner talked often about a writer of fiction must maintain a fictional “dream,” not allowing flaws in the writing, plot, or structure of the book to “awaken” the reader from the fictional dream. That dream can be thought of as the reader’s attention to the fictional world’s space, time, action, character, and so on. Becoming immersed in the fictional dream is possible because of the brain’s ability to treat the imagined as real. For fiction writers (and this may be true of successful non-fiction as well), this inherent brain-capacity in our readers is an invitation to create absorbing, gripping, and emotionally salient worlds in our books and stories, and to ensure by diligent editing and proofreading that no mistakes wake our readers up from that dream-world. All right, you’ve written that great manuscript and it’s time to self-publish. When I reached that milestone back in 2014, there were five important things I didn’t know. Well, okay, there are dozens and dozens of things I didn’t know, like the difference between the ISBN-10 and the ISBN-13, but those dozens weren’t quite as significant as the Big Five.Here they are. You will either do the tasks that need doing, or you’ll pay somebody to do them. Period. There are almost no “free” publishing services. CreateSpace advertises free set up, and IngramSpark waives its set-up fee ($49.00) if you order 50 books. The set up, though, is like making a dinner reservation at a big-name restaurant—sure, the reservation is free, but it’s the meal that counts, so get out your credit card. CreateSpace, for instance, has free set up, but a book needs a cover (so people can judge it, right?). Of course, unless you’re a graphic designer, you likely will end up with an ugly cover and a failure of an interior. So, you hire somebody, probably for something in the neighborhood of $500.00. Oh, you’ll also need to design the book’s interior, which is a complex business. You can hire a book designer, or you can buy book interior templates from a variety of sources. For example, you can get very nice templates for the interior of your book for as little as $57.00 at Joel Friedlander’s website. Of course, you probably will need to study Joel’s tutorials in order not to botch the job, unless you’re already good at it. Cover and interior design are only the start of things you’ll need to buy. You’ll purchase an ISBN (International Standard Book Number) for each type of book you’re publishing (one for a print version, another for the e-book) and a barcode for each ISBN. Bowker, the only source for ISBNs in the United States, sells ten ISBNs for $295—if you want only one, the ISBN is $125.00. Buying just one means either you put out a print version, or an e-book, but you can’t do both. Buy ten. There are numerous other up front costs to get the book produced and distributed (on Amazon.com, BarnesandNoble.com, and a few other places). That just gets the book out into the world, where, unless you do more—or buy more—no one will even know it’s there. Hooray, Your Book is Published! But Who Noticed? Between “being noticed” and “selling books” cost me more than getting the book produced and distributed. I knew I’d have to do some marketing, but I had no idea how. So I bought “services and products” from another sub-industry devoted to marketing (not just to “getting noticed”). Some of those services were worse than worthless—the ones I bought from the company that published the book, for instance. Many, if not most, of the larger self-publishing companies sell relatively cheap publishing packages (“Enormous deal! Publish your book for only . . .!”), and then bundle marketing packages for high prices that you can find far less expensively on the Internet. For instance, my company (who shall remain nameless) sold me three professional reviews (Kirkus, Clarion, and BlueInk) for $2400.00. I bought. Then later, online, I found that if I’d purchased them directly from the reviewers, individually, my cost for all three reviews would have been $1300.00. Another example: For a “mere” $500.00, I purchased from my publisher an email press release that the company promised to send to 1200 media outlets. It was opened eleven times. Although I did sell about twenty books in the ten days after the press release went out, those buyers were book club members who were friends of mine. There were no sales in any of the markets to which the press release was sent. Hmmm. $500.00 wasted. Then I went to Keokee Creative in Sandpoint, ID (near where I live), a small, four-person marketing shop. For $85.00, they wrote a punchier press release (when I read it, I thought, “I want to buy this book!”), and I sent it to 50 media outlets in Montana, Idaho, and Washington state. It was opened 36 times and from it, I got a radio interview and two newspaper mentions. In the week after the radio interview, I sold 37 books, the biggest week I’ve had. $85.00. Okay, I’ll Do the Work Myself. I Just Need a Little Coaching. Even if you do the actual marketing tasks yourself, unless you have solid experience in book marketing, you’ll very likely need tutoring. And tutoring costs can be as high as all the other costs. Some of these costs for tutorials, webinars, manuals, and books on marketing are well worth it; others, not so much. 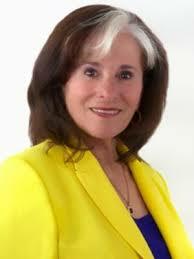 More to the point, in this sub-industry live multitudes of marketing consultants and coaches. How can you tell if a coach’s or consultant’s fee is money well spent? Here is my four-step method, which I learned the hard way, because when I first published, I didn’t even know that all these consultants and coaches and helpers even existed. Step 1. Scour the Internet for “how to market a book” or similar combinations. Read dozens of web sites. Check out services and prices. Learn the jargon. Alternately, ask your writer friends for references to marketing consultants who have helped them. Step 3. Evaluate the free stuff you get in Step 2 to see what works for you. Some of the free information is, ahem, worthless. You’ll know. Discard those, and unsubscribe to that consultant’s email list. Other downloads, though, are packed with useful advice or guidance. Step 4. When I learn something useful or new from an author’s free stuff, I pay attention to their paid offerings. When I need to learn something they teach for a price, I pay them. Here’s one example: I was stuck when it came to optimizing my Facebook presence. There’s a ton of free advice about that floating around, but almost all of it is basic common sense (“Don’t post ‘Please buy my book!’ on Facebook!”), not the sophisticated help I needed. One day, I came across Frances Caballo’s site, “Social Media Just for Writers”, brimming with information that I found both useful (and new to me, a rookie). So I got a free download of something in return for giving her my email address. Some time later, when Frances advertised her “social media audit” (she evaluated my blog, Facebook and LinkedIn pages, and my web site) for $99.00, I bought it—and her feedback about my “presence” proved to be enormously valuable. Writing is Half the Job. Marketing is the Second Half. 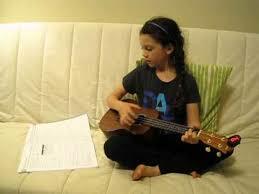 I love to write. I don’t love to market. Yet, honestly, I now spend about half my time doing the latter. And I’m okay with that. I promised myself I’d devote three years to marketing my books. I’m ten months in at this point, and I’ve gone from begrudging every minute I spend on it to actually liking some aspects of it. I can’t complain (although I do). My book (in my expert opinion) is worth reading, but people aren’t going to read it unless they notice it and are inspired to pick it up. 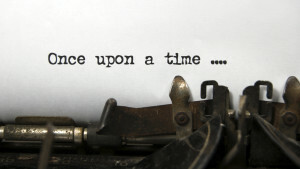 So, writing leads naturally to marketing—because nobody’s going to step in and do it for me! A number of people have asked me why I write fiction, after a long career writing academic and training materials in psychology. Superficially, my answer is that I love to tell stories. Forty years of practicing psychotherapy and teaching grad students provided a rich storehouse of stories, from all kinds of people. In some ways, telling these stories is a way of honoring my former clients and students, who taught me so much about the suffering and exhilaration of being human. 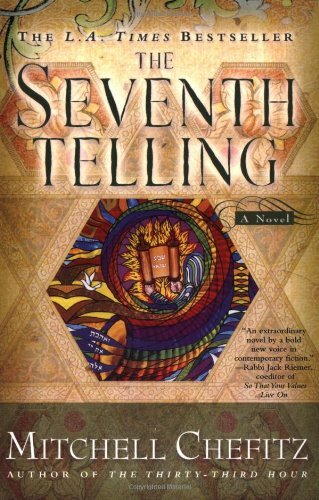 Of course, such stories are never exact retellings—all are disguised, altered, a detail plucked from here, an outcome from there. None of my former clients could see themselves in any character or in what happens to the characters. But I was telling stories I had heard from people who deserved to have their stories honored. However, the more I work in fiction, the more I realize that something else is at work as well. At first, when I wrote, I thought like a psychologist. There is a necessary separation between therapist and client, and looking back, I see that unconsciously I kept that distance from my characters. That early writing was not so hot, obviously. Now, as the years—and the books—multiply, I find that I am thinking increasingly as a human being, not as a shrink. To some of my characters, I have grown attached; others I am angry with; but I’m no longer detached. In my writing now, I see a hunger to enter into the lived experience of my characters, not as an analyst or a therapist, but as a compatriot in this beautiful and troubled world. It seems to me that I am finding my way, paragraph by paragraph, into old age and the final chapters of my own life. I’m learning what it means to change, to accept but never to give in, to let go without letting up. Although my characters include teens, middle-agers, and the elderly, each of them offers me insights into what it means to be alive in a world stocked with challenges at every age. And as these insights accumulate within me, again without my conscious intent, I find myself occasionally content being just who I am, which is a novel experience for me. There is also a deeper level to why I write, of which I’m only dimly becoming aware. To write fiction is to create a world and to people it. Other writers have spoken of this. Writing fiction is, in that sense, being God. I don’t intend blasphemy, but rather to convey the amazing dignity inherent in creating. According to the Genesis story, you and I are made in God’s image; in creating, we stumble into what must be, except perhaps for compassion and love, our highest nature. What humbles me as I write is the glimpse I’m given of a genuine sense of responsibility for those characters I create. I’ve discovered an obligation to do well by them, to be honest about them—and with them—and to create situations that not only test their mettle, but contain, no matter how deeply hidden, a chance for the best in them to come forth. As in real life, of course, some do not find the best in themselves, but as their creator, I find myself compelled to give them their chance, to allow them their crossroads. This is an odd sensation, and as I say, I’m only becoming aware of it and what it might mean. To be responsible for and to one’s creatures—what an enormous delight. Author Bill PercyPosted on Tuesday, March 29, 2016 Tuesday, March 29, 2016 Categories Story and WritingTags being God, creativity, fiction, stories, world building, writingLeave a comment on Why Do I Write? Alongside highway 200 entering Sandpoint, Idaho, sits the Hoot Owl Café, a venerable diner beloved for its abundant breakfasts and tasty lunches. Outside the Hoot Owl is a sign on which they post witty sayings. These days, the sign reads “The Average Person Thinks She Isn’t.” When I saw it the first time, I laughed, and thought how accurate that sounded. Since that first sighting, I’ve driven by the sign dozens of times, and each time, I’ve thought about the message. Though it still makes me smile, I now think it’s wrong. 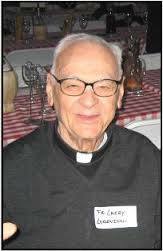 Several sources credit the quip to Father Larry Lorenzoni, a priest of the Salesian Order in San Francisco. Father Lorenzoni, however, does not appear to be the originator of the saying. In fact, its earliest use appears to be in the New York humor magazine, The Judge, in 1927. Since that time, one website lists at least four additional published appearances of the saying between 1934 and 1987, none of which are attributed to Father Lorenzoni. There is something ironic about Father Lorenzoni’s use of the quote. Average people (if there are any such) don’t pretend to be the author of something they did not originate. In her book, How to Work a Room, Susan RoAne writes, “I met a significant person in my life on a plane from San Francisco to Los Angeles. Father Larry Lorenzoni and I spent an hour chatting, laughing, comparing publications . . .” Unfortunately, a fairly deep Google search revealed that Father Lorenzoni has no publications to his credit—except a few letters to the editor—despite “comparing” them with Ms. RoAne’s publications. But there’s more: A further Google search reveals that the good Father also stands accused of sexually molesting young boys in his charge. Father Lorenzoni is not your average person, obviously, and it appears he doesn’t think he is, either. Not only does he permit his name to be associated, on multiple websites and in books of quotations, with a quote he did not author, not only does he talk of his nonexistent publications with a young woman who is an author, he is accused of sexually abusing children. The average person does none of those things. Father Lorenzoni’s apparent duplicity is one example of why I think the saying is wrong. 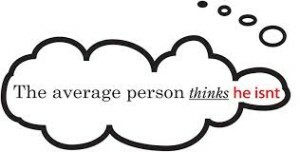 My argument is with the notion of an “average person.” An average is a pure mathematical abstraction that cannot be said to describe accurately any real human being. Forty years practicing psychotherapy and teaching psychology to graduate students has taught me that no matter how ordinary a person might seem, that person’s story—or stories—make her unique. And while many people experience similar incidents, and respond in similar ways, always the nuances of their experience and their response are distinctly their own. Unique? One of a kind? Yes. When I write fiction, my aim is to tell stories of ordinary people confronting extraordinary challenges—challenges that mystify them (and sometimes me!) and demand solutions that reflect the uniqueness of their character. 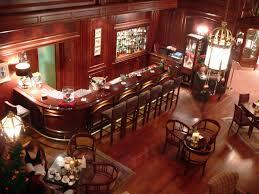 Novelists, like psychologists, look for the patterns in a person’s behavior that define him or her. Some characters could be considered ordinary, average people. But as their challenges mount and their sufferings mount with it, and as their desire and action to change or remove the challenge grows, the complexities of their characters reveal themselves. It isn’t that these average people think they aren’t: These average people aren’t average. Father Larry Lorenzoni is not your average priest, or even your ordinary priest. If he were a character in a novel, we would learn why, in his uniqueness, he takes credit for things he did not do and conceals the evil that he is said to have done. But we do not know the story. In my lifetime, I have known personally nearly one hundred priests of the Roman church. I am confident that all but two of those have never molested a child. Even those two, living public lives that concealed their private crimes, manifested a powerful commitment to, even love for, the people whom they served. No one is average. Everyone has a story. And nobody’s story is simple. Not even Father Larry Lorenzoni’s. It’s a hard day when a writer encounters two others whose books are so good that he is forced to decide never to write another word. And that day gets harder when one of those wonderful writers creates stories that, in characters, setting, and overall tenor, remind the poor writer of his own. And the second excellent writer? She writes an entirely different kind of novel so well and so intimately that the poor guy has no choice but to give up writing altogether and take ukulele lessons. What is it about their writing that so affects me? To put it better, if I’m going to stay in the game and not learn the uke, what can I learn from these two very different masters? Let me start with Craig Johnson. Johnson never departs from the story he is telling: no detours or digressions, no long soliloquies, just story. But in telling the story, he will add a phrase, or sometimes only a word, that captures a character’s enormous but almost hidden emotion, or the breathtaking beauty of a setting he barely takes time to describe. Here’s an example from Death without Company, the second Longmire book. It’s on page three. It’s winter. Sheriff Walt Longmire has paced a path in the snow along the cemetery fence, impatiently listening to the gravedigger’s chatter. The ground being frozen, the gravedigger launches into a long riff on burial customs around the world. It’s funny, because Jules, the gravedigger, is driving Walt crazy. Underneath, though, there’s a tightening of some unspoken tension: Who died? Why is the sheriff out here pacing in the cold? What happened? You can tell the new graves by the pristine markers and the mounds of earth. From my numerous and one-sided conversations [with Jules], I had learned that there were water lines running a patchwork under the graveyard with faucets that would be used in the spring to help soak the dirt and tamp the new ones flat, but, for now, it was as if the ground had refused to accept Vonnie Hayes. It had been almost a week since her death, and I found myself up here once a week. When somebody like Vonnie dies you expect the world to stop, and maybe for one brief second the world does take notice. Maybe it’s not the world outside, but the world inside that’s still (pp. 2-3). 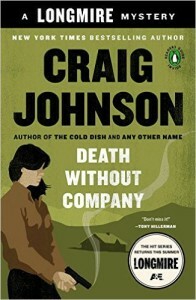 Throughout his books, Johnson does that: After a long focusing on the external action (in the excerpt, the comedic chatter of Jules—remember the two joking gravediggers in Hamlet?—and the setting (the frozen mounds awaiting spring), Johnson in a short sentence or two will give us a glimpse (and often only a glimpse) into Walt Longmire’s emotional response. But not too deeply or long. “Maybe it’s not the world outside, but the world inside that’s still.” By setting things up this way, when the moment comes for Sheriff Longmire to have a profound emotional experience (and in Johnson’s novels, that moment always comes), we’ve had so many fleeting glimpses that we are as deeply moved as Walt Longmire is. Now let’s turn to Marilynne Robinson’s Lila. Unlike the sheriff of Absaroka County, Lila is a nobody. Abandoned as a toddler and rescued by a woman drifter who taught her the life of itinerant workers, Lila eventually became a prostitute, then a homeless wanderer. During her travels, she meets and marries an old preacher in the small Iowa town of Gilead (the title of the first book in this series). They love each other in their own way, but each fears the other will find him or her unsatisfactory. The preacher, John Ames, can tell her, haltingly, of his love and need for her, but she cannot believe it will last, nor can she voice her own fear that he will learn about her past and banish her. She tells him almost nothing about herself. And the context of this agonized reticence for both is the knowledge that the old man will die long before Lila gets old. Then Lila becomes pregnant, delivers a son, and . . . that’s it. In Lila, that’s all the action there is. All the action on the outside, that is. But inside Lila’s and John’s minds, the characters’ rich, evocative, and poignant musing and rejoicing and fearing and longing are complex—and complete—worlds in themselves. We view scenes of intense external action nearly always through Lila’s remembering and pondering them. Page after page of inner monolog carry us back to Lila’s earliest days, or show us the formative, dreadful experiences she endured, or project us out into the futures she imagines so entirely plausibly that we feel with her the same shiver of fear or despair (or occasionally, hope) that she feels about the life she imagines she will end up living. She felt good, and the baby was moving around more than ever, elbows and knees. The old man would look into her face for sadness or weariness, and she would turn her face away, since there was no telling what he might see in it, her thoughts being what they were. She’d been thinking that folks are their bodies. And bodies can’t be trusted at all. Her own body was so strong with working, for what that was worth. She’d known from her childhood there was no use being scared of pain. She was always telling the old man, women have babies, no reason I can’t do it. But they both knew things can go wrong. That’s how it is pp. 171-172). It’s in this stream of her consciousness (not stream of consciousness in the technique sense, but in the real-life sense, thoughts weaving together one by one into a skein of meaning) that we come to know Lila. Through her thinking about her husband, we know him too. Remember that sentence about his searching her face for a sign of sadness: Lila’s thoughts show us, more poignantly and fleetingly than any words John might say, his fragile fearful love. After that, she thinks about dying when the baby comes, and how “here’s my body, dying on me, when I almost promised him I wouldn’t let it happen.” This makes her wonder if perhaps her concern for her husband meant that . . .
. . . she was something besides her body, but what was the good of that when she’d be gone anyway and there’d be nothing in the world that could comfort him. She guessed she really was married to him, the way she hated the thought of him grieving for her (p. 172). We stay inside Lila’s mind (and heart) like this for long stretches throughout the novel, and I never found a moment of it dry or slow or boring. All the scenes in which action takes place are filtered and formed by her inner perceptions of them. Thought by thought, desire by desire, Lila grew on me, grew into me. All of us have been abandoned, have grown hard and scarred over, have secret escape plans and doubts about the ones who love us most. And like Lila, most of us rise up and through those to a higher place, or at least a glimpse of one. 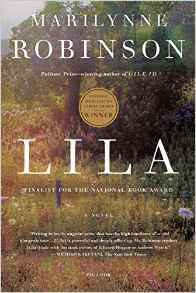 To live with Lila over the span of her life and 260 pages of Marilynne Robinson’s beautiful, measured, thoughtful, and simple prose was, for me, to become alive again to all the contradictions that fill my loves and eventually are healed by them. Read with me the closing lines, remembering that these are the musings of a woman on whom life had scraped the thickest scars and hardened the most tender heart of any deeply wounded character in literature I know. Lila had borne a child into a world where a wind could rise that would take him from her arms as if there were no strength in them at all. Pity us, yes, but we are brave, she thought, and wild, more life in us than we can bear, the fire infolding itself in us. 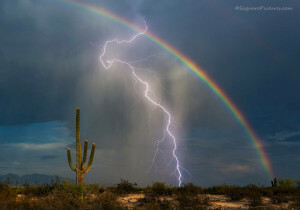 That peace could only be amazement, too. 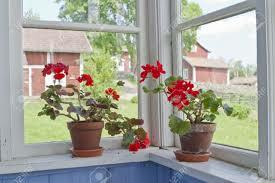 Well for now there were geraniums in the windows, and an old man at the kitchen table telling his baby some rhyme he’d know forever, probably still wondering if he had managed to bring her along into that next life, if he could ever be certain of it. Almost letting himself imagine grieving for her in heaven, because not to grieve for her would mean that he was dead, after all. Someday she would tell him what she knew (p. 260-261). I imagine you can see, now, why after reading Craig Johnson and Marilynne Robinson, I wondered if I should write another word. They tell me, yes. Despite frequent harassment by the Gestapo, Picasso refused to leave Nazi-occupied Paris. He was forbidden from exhibiting or publishing, all of his books were banned, and even the reproduction of his work was prohibited — but he continued to make art. 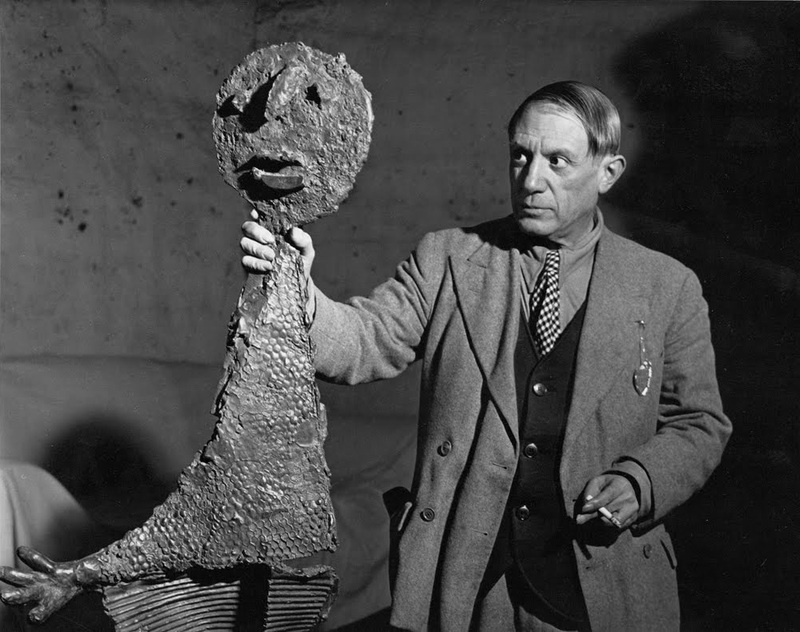 When the Germans outlawed bronze casting, he went on making sculptures with bronze smuggled by the French Resistance — a symbolic act which the deflated creative community saw as an emboldening beam of hope. Nor were there heroes only during the world war. Consider also Vaclav Havel during the Communist dictatorship in Czechoslovakia, Alexander Solzhenitsyn in the middle years of the Soviet empire, and Yegeny Semyatin under Stalin. The list of artistic heroes is just as long as the list of oppressive societies or dictators. Whether during war or during periods of ongoing oppression, artists emerge as heroes, using their art to expose the horrors and corruption of the times. Sometimes, they themselves suffer retribution. Picasso was suppressed and in constant fear of arrest. Likewise, Camus, Havel, Solzhenitsyn, and Semyatin were imprisoned by the regimes they resisted. Irène Némirovsky, and no doubt many other artists, died in Auschwitz. What, then, about artists in our time and in our country, where such blatant oppressions and imprisonments are said not to occur? (But ask African Americans or, increasingly, Hispanics and Latinos, or even women seeking low-cost health care, about that.) Do these times call for heroism from those us who are writers? And if so, against what is that heroism to stand? I don’t know if my own answer works for everyone, but I think we do need heroism, and that we should stand against the perversions of truth. 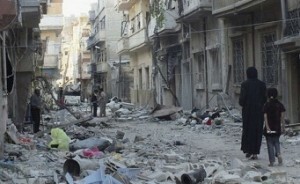 We in the developed countries don’t face an obvious enemy such as Nazi or Soviet occupation. But we face something for which George Orwell coined the perfect name and against which he warned us in 1984: doublespeak. 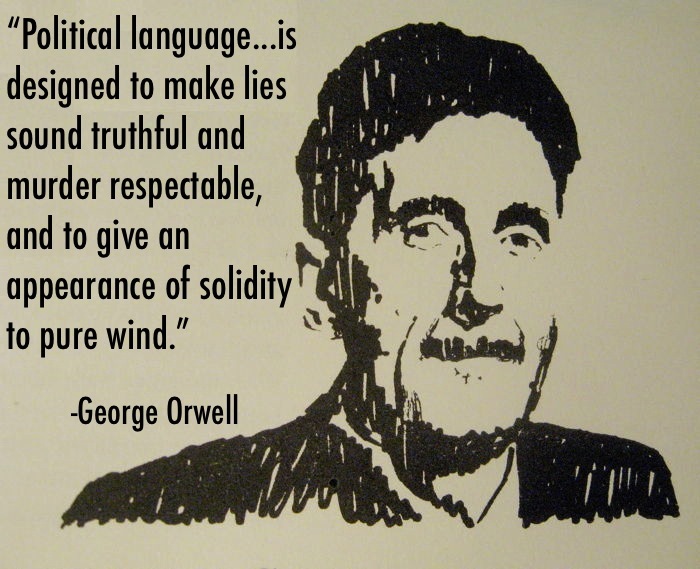 For Orwell, doublespeak signified the use of language to obscure and euphemize political evil. When the military uses the phrase “collateral damage,” they distort language to obscure an evil fact: the deaths of non-combatant civilians during an operation. Although in our everyday discourse, doublespeak rescues us from crudity or unpleasantness (we say “passed on” instead of “died,” “workforce reduction” instead of “firing workers,” or “new and improved” instead of “higher-priced”), doublespeak can be and is put to more sinister uses. I would argue that doublespeak, when used to conceal evil intentions or actions, is itself evil. And I believe that writers who take a stand against such doublespeak are heroes, even in the absence of war and occupation. By “taking a stand,” I mean two things. Writers can directly and openly unmask the doublespeak, or they can write the truth about a thing without using the doublespeak. Political sloganeering is an insidious and invisible kind of doublespeak that writers can (and I’d say, should) stand against. The standard American political reactions to an episode of gun violence provide good examples. From the left, we always hear, “We need common-sense gun control.” From the right: “We must protect Americans’ 2nd Amendment rights.” What’s insidious about both slogans is that they cover up two ugly realities. So it would be far more meaningful to screen for active substance abuse, which is correlated with episodes of violence, than to screen for mental illness. But can you imagine having the alcohol industry team up with the NRA and the gun industry against that solution? So we hear calls for “common-sense gun control,” which is neither common-sensical nor likely to control guns. The ugly fact that the slogan conceals is that the problem is guns themselves in the hands of angry substance-abusing people, not those who are mentally ill. Another ugly fact is that the one group of mentally ill persons who commit significant gun violence are those who commit suicide. But no one issues a call for “common-sense gun control” when a person commits suicide-by-gun. We never hear about him (it’s usually him). 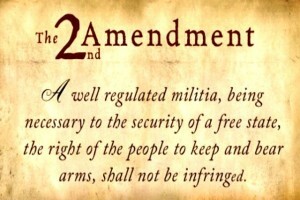 The Second Amendment was adopted in December 1791, fifteen years later than our founders’ Declaration, in July 1776, that all persons have “an inalienable right to life, liberty, and the pursuit of happiness.” Clearly, in the founders’ politics, the lives of the citizenry, their liberty from tyranny, and their ability to pursue happiness are prior to the right to bear arms. Now, I have no doubt that many gun hobbyists derive real pleasure from the liberty to enjoy their collections. But if someone derives happiness – as distinct from feelings of safety or control – from owning an arsenal of assault rifles on the grounds that it will protect themselves and their families from a government takeover of their back yards, I would argue that such delusions of “happiness” may signal mental illness. When guns deprive citizens of life, liberty, and the pursuit of happiness, it is sophistry to invoke the 2nd Amendment to trump that ugly fact. 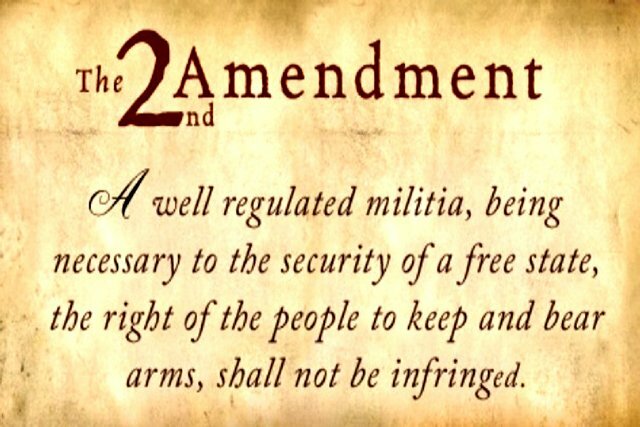 More importantly, only five conservative Justices of the Supreme Court believed, in District of Washington vs Heller, that the 2nd Amendment intended that private individuals had the right to keep and bear arms. (And when it comes to cries that the 2nd Amendment is sacred, let’s note that, for some radical conservatives, the Constitutional amendments stop being so sacred when they accomplish political goals that the radical right-wing disdain, such as ensuring the right of birthright citizenship in the 14th Amendment). [T]he Court ultimately concluded that the second amendment “guarantee[s] the individual right to possess and carry weapons in case of confrontation” (id. at 592); that “central to” this right is “the inherent right of self-defense”(id. at 628); that “the home” is “where the need for defense of self, family, and property is most acute” (id. at 628); and that, “above all other interests,” the second amendment elevates “the right of law abiding, responsible citizens to use arms in defense of hearth and home” (id. at 635). Based on this understanding, the Court held that a District of Columbia law banning handgun possession in the home violated the second amendment. Id. at 635. Note that small phrase, “hearth and home.” What was decided in 2008, then, was that possession of handguns in the home for self-defense is allowed. Nothing in the decision applies to or implies the onslaught of state laws allowing for public and concealed carry, ownership and brandishing of semi-automatic weapons, and the like. So what has this example got to do with the heroism required of writers? Writers don’t hesitate to do hours of research to make sure we get even a single fact right. (I’ve spent at least four hours just researching this blog post.) I’d argue that writers, including writers of fiction, know how to search out an issue’s niggling finer points, as I’ve tried to do by way of example with two common political slogans. In this charged and volatile political environment, where politicians demonize entire groups of people, I think writers have a responsibility to search deeply into the truths or facts being obscured or concealed by political doublespeak. Finally, let me nominate a writer who has shown heroism recently in fighting lies coming from politicians. In March of this year, Governor Paul LePage of Maine used Steven King as a whipping boy to flog his plan for eliminating the state income tax in order to lure rich retirees to Maine. He claimed that the Steven King had moved to Florida to escape the Maine income tax, implying that King did not pay income taxes in Maine. Both statements were lies, covering up an ugly agenda: Taxing the poor (through hiking the sales tax) to reward the rich (by ending the income tax). Governor LePage is full of the stuff that makes the grass grow green. Tabby (King’s wife, Tabitha) and I pay every cent of our Maine state income taxes, and are glad to do it. We feel, as Governor LePage apparently does not, that much is owed from those to whom much has been given. We see our taxes as a way of paying back the state that has given us so much. State taxes pay for state services. There’s just no way around it. Governor LePage needs to remember there ain’t no free lunch. In his response, King revealed how much he’d paid in taxes in 2013 – 1.4 million dollars. He stood for truth against political doublespeak by exposing himself. I salute him. Okay, fiction can’t repair the world. Still, I’ve been wondering lately whether the time and energy I invest in writing fiction might be better spent working socially to change the world. The question has been long with me, ever since a criticism I received in 1974 from a good friend, a Catholic priest. I had decided on a career in psychotherapy, and he challenged me: “Let’s say as a therapist you can help fifty people a year for forty years. What’s that? 2000 people in your career. Be a social activist, a community organizer – you’ll help 2000 people every year.” I didn’t take him up on that. It seemed to me that by seeking the quantity, I’d lose the quality of the relationship with those I served. Perhaps that was selfish. In the first sermon I heard by Michele’s rabbi, he spoke about tikkun olam, which is Hebrew for “to repair the world.” Every Jew, Rabbi Cohen said, should repair the world. I wasn’t Jewish, but in good Catholic style, I felt guilty anyway, since I hadn’t yet repaired the world. 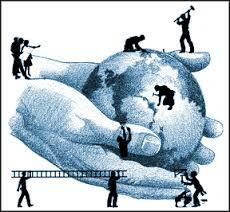 Such a requirement, repairing the world! Isn’t that the Messiah’s job? Some years later, I came across this quote from the Talmud: “Do not be daunted by the enormity of the world’s grief. Do justly, now. Love mercy, now. Walk humbly now. You are not obligated to complete the work, but neither are you free to abandon it.” Ah. So maybe one relationship at a time was all right. In the Buddhist tradition, there’s a saying that when one person becomes enlightened, the whole world is freed from suffering. Instant tikkun olam! The best thing a person can do to save the world is to save himself or herself. This obviously is aspirational, judging from the amount of suffering left in the world. But it makes a point. Let’s say these ancient claims are true: That we repair the world one person at a time; that by cultivating our own spiritual health, we benefit the world. Let me make a case, then, that writing fiction participates in that effort. Seriously? We should maybe send Bookmobiles to prowl the streets of refugee camps? How can writing stop ISIS? (Buy a bearded boy a book?) What about the plague of American gun violence? I suppose a paperback doesn’t fire many bullets. But really? How can writing reverse the injustices of runaway capitalism? If you read Thomas Piketty’s Capital in the Twenty-first Century, will the resulting brain-freeze snuff out the greed-is-good meme? 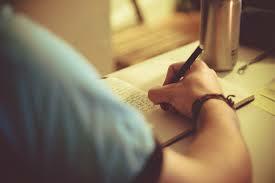 Plainly, writing alone can’t change the world. But solid, honest writing can make a difference by informing people about the pressing issues of the time – look at the articles, journalism, and reflection in the great (and even the not so great) newspapers, in Mother Jones, Harpers, The Atlantic, The New York Review of Books, and the dozens of similar publications. And informed people ultimately will change things – they will help refugees, stop ISIS, reduce gun violence, redistribute wealth more justly. 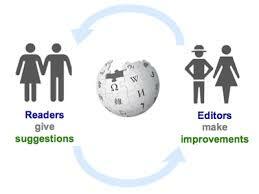 People who are well informed will eventually find one another, band together, and make the changes the world needs. In my novel, Climbing the Coliseum, I wanted to explore, by means of story (as differentiated from journalism, philosophy, or memoir) the question of whether and how people who are marginalized somehow can find their way into a community that cares about them. What does it take? Who needs to be involved? What works, what doesn’t? I didn’t want to pose that question “out loud,” as I would in an essay or a non-fiction study, but rather to tell a story about real people, and to tell it as honestly as I could. That way, my readers have the freedom to be affected by the book in whatever way and at whatever level they respond to it. If even one reader is moved to consider the plight of abandoned teenagers after reading Climbing, the world is a little better for it. A great experience with a novel, I’ll claim, can be as life-changing as an auto accident or a serious illness, as falling in love, as the birth of a child. In John Gardner’s words, moral fiction offers readers a vision of life “that is worth pursuing.” One life at a time. One of the many challenges of fine writing – fiction or not – is to tell stories that embody that vision of the life worth pursuing.